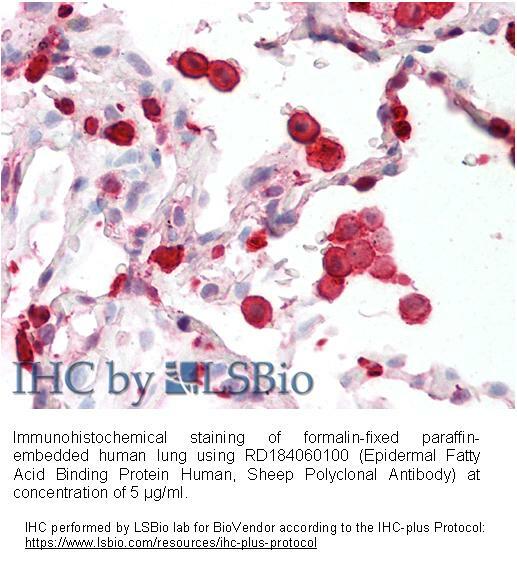 The antibody was raised in sheep by immunization with the recombinant Human FABP5. The immunization antigen (15.2 kDa) is a protein containing 135 AA of recombinant Human FABP5 and one extra AA, N-terminal methionin (highlighted). Immunoaffinity chromatography on a column with immobilized recombinant Human FABP5. 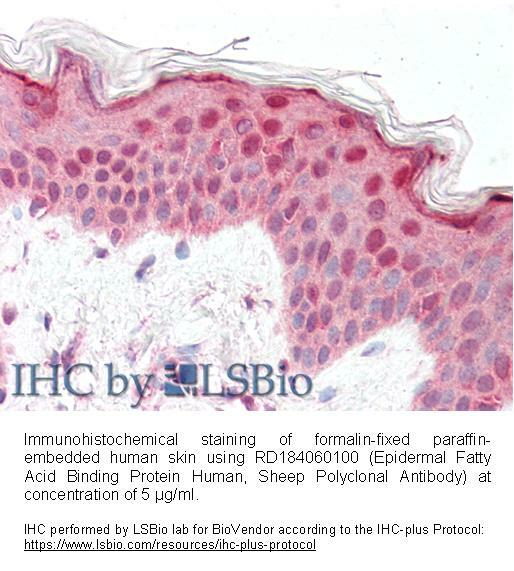 Human fatty acid binding protein EFABP is a 15 kD member of the intracellular fatty acid binding protein (FABP) family, which is known for the ability to bind fatty acids and related compounds ( bile acids or retinoids). in an internal cavity. 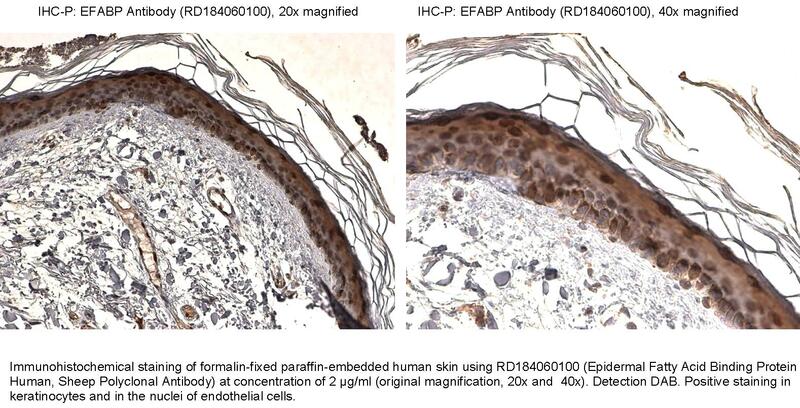 The fatty acid binding proteins aP2 (fatty acid binding protein [FABP]-4) and mal1 (EFABP) are closely related and both are expressed in adipocytes. Absence of EFABP/mal1 resulted in increased systemic insulin sensitivity in two models of obesity and insulin resistance. Adipocytes isolated from mal1-deficient mice also exhibited enhanced insulin-stimulated glucose transport capacity. In contrast, mice expressing high levels of mal1 in adipose tissue display reduced systemic insulin sensitivity .